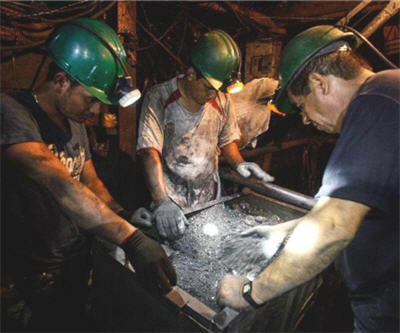 In Colombia, miners dig for emeralds in the rivers as well as underground in the renowned Muzo area. More than 75% of residents from the municipality, in the central northern region of the country, work in mining. One of the world's most famous uncut emeralds — The Devonshire — is from the Muzo mines. It is a 1,383.95 carat stone. A new photo-journalism feature illustrates the miners' work as they search for the precious gems in the Minero river and the Real mine.